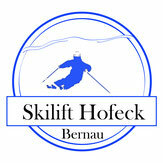 Ride with us on the slopes Bully through the white winter forest, 4 km away, from Krunkelbachhütte to 1,294 m altitude. Conditions are sufficient snow, and at least 15 participants. In large crowds, even on weekends, there are two snowcats driving. You can buy tickets in our new Grillbar next our basic station. Slides can ONLY be rented at the Krunkelbachhütte. Of course you can also bring your own sled. These are appended to the respective snowcat and pulled high. On the carriage you drive the same route back to the valley. We ask each driver to pay attention to himself and to the other sleds. WATCH OUT !!!! One of the snowcat could meet you on the way down. Please introduce yourself in this case, all on one page, so the track roller can pass well. The slides you can search after the ride and leave them at our house. 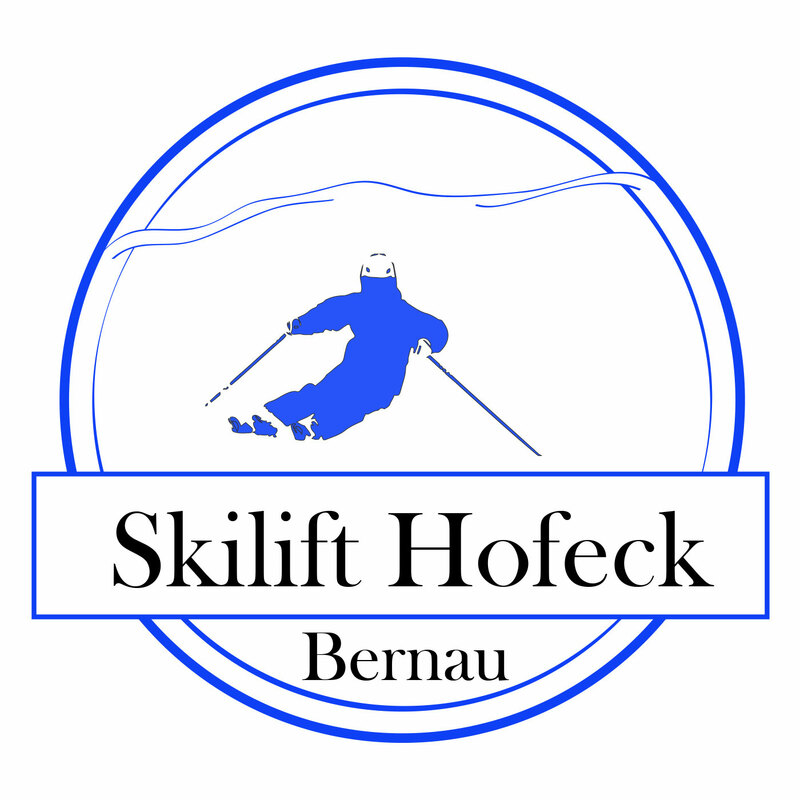 These are drawn back at the next opportunity to Krunkelbachhütte. Pistenbully driver instructions or lift personnel must be followed. Tickets are available at the weekend outside of the basic station in the new grill bar. Midweek the pistenbully driver is collecting the tickets by himself. DANGER !!! Entry is on the driver´s side. The pistenbully past the house, turn at the hill and then stop at the station. Therefor, and because skiers pass the house, we ask all participants to stay in the area of the house. Please let skiers their slopes.! 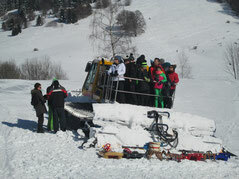 Please get disciplined and considerate to the pistenbully. Pay attention to your neighbour! and be helpful to one another. If you have your own sled here, so this will be added by the driver or from the lift staff at pistenbully, so you can be sure that this also arrives with you above. The pistenbully take 35 to 45 minutes, until they arrive back at our base station. Please understand that this information may be just about, because the pistenbully has to resort to hikers and sledge riders and the rise and fall times, and may vary greatly from the runway roll. 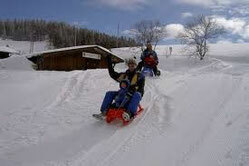 Sleds can be rented only at Krunkelbachhütte. Take the carriage the same route back to the valley. Each sledders has to pay attention to himself an to other sledders. Danger!!! a pistenbully could meet you on the way down. Please introduce yourself in this case, all on one side, so the pistenbully can pass by! If you don´t trust the ride with the carriage, it is possible again to take the roll into the valley. Please arrange with the driver, so you will not miss the last descent. After the ride, please set the slide opposite from the station on the fence perpendicular. Please make sure that no ski or sled driver or pistenbully be jeopardized. With enough people, the pistenbully drives until 16 pm. With less snow or poor driving conditions we reserve the right to cancel the trips. 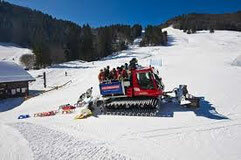 You can book the pistenbully for an extra ride, but only outside the public timetables. Time and price please ask at Krunkelbachhütte 07675 - 338.